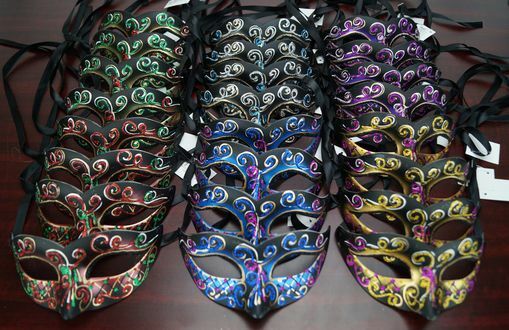 This mask party pack comes with 24 hand painted masks. These masks are made of a durable plastic and are stronger than paper mache. 6 assorted colors in 24 piece party pack. Size 6w x 3h inch.